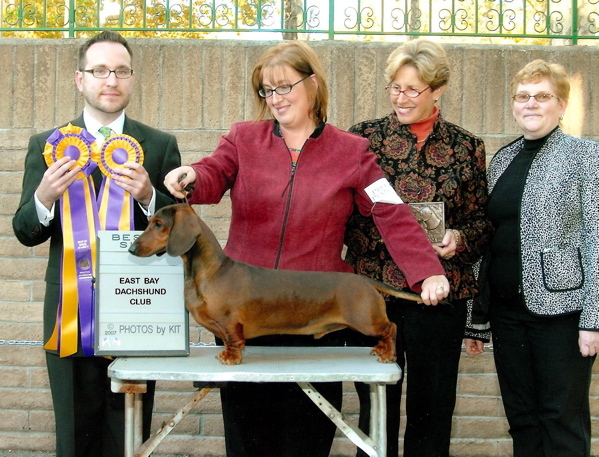 In January of 2010, at the Golden Gate Kennel Club Dog Show in San Francisco, Avery went Best of Variety handled by his co-owner Tatiana Ter-Zarhariants. 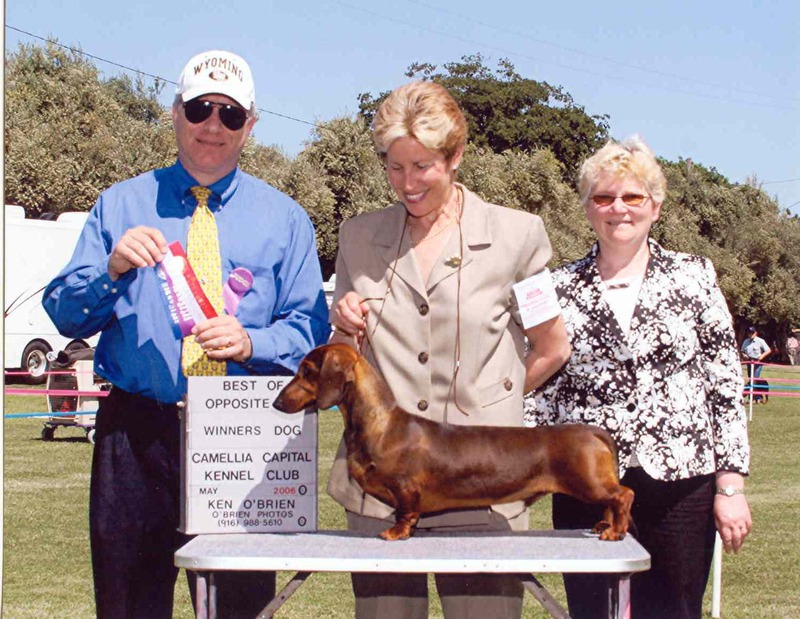 Avery winning his first points in May 2006 at the Camelia Capital Kennel Club dog show in Dixon, California. 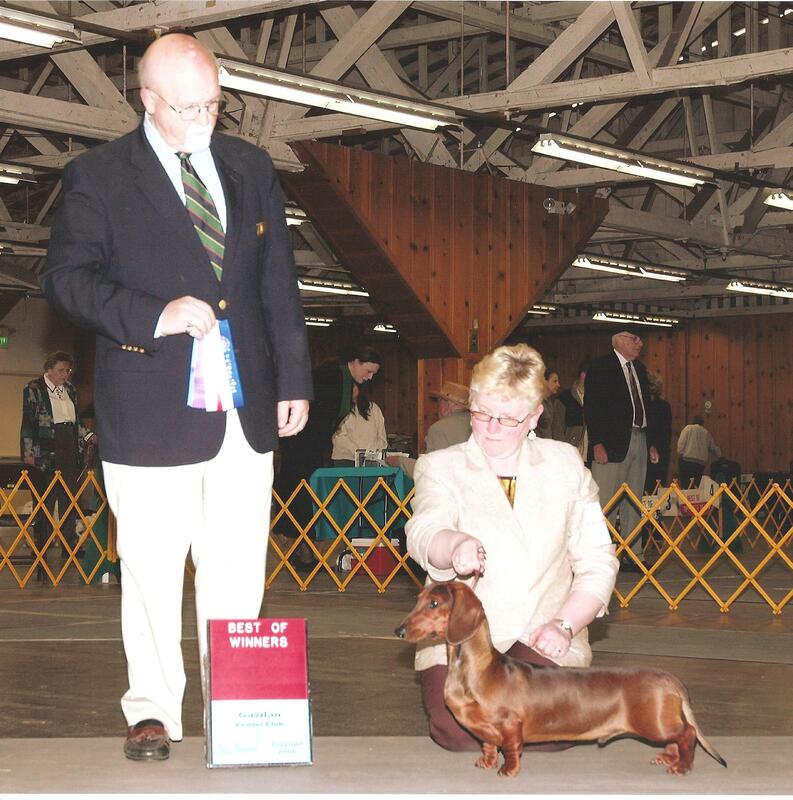 Avery taking "Best of Winner's" in Gilroy, California at the Gavalin Kennel Club dog show, Summer 2006. 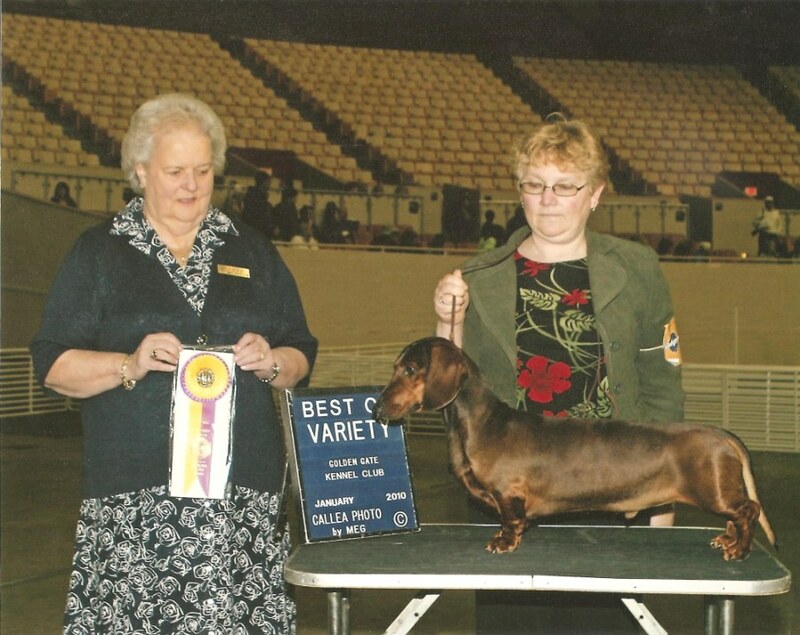 October 2006 in Pleasanton, California, Avery takes "Winner's Dog" at the Del Valle Kennel Club dog show. Champion Storybook Avery Arable wins big! 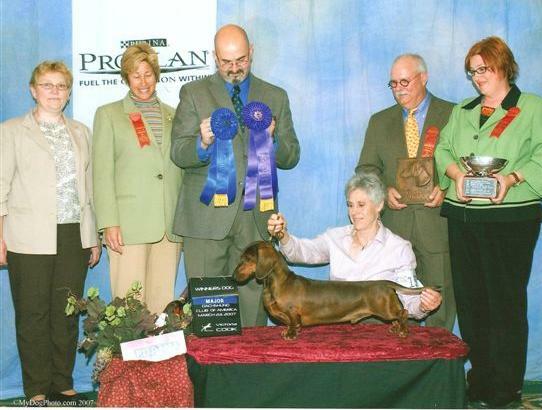 Here is Avery being chosen as the best class dog at the Dachshund National Specialty Show, held in Sacramento California in March of 2007. 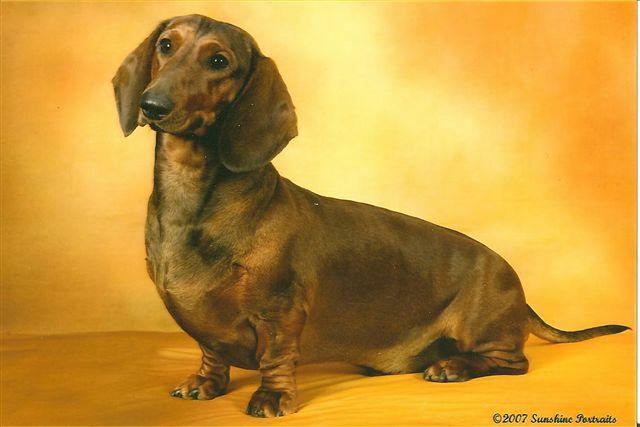 A candid photo of "Avery" taken in October of 2007. 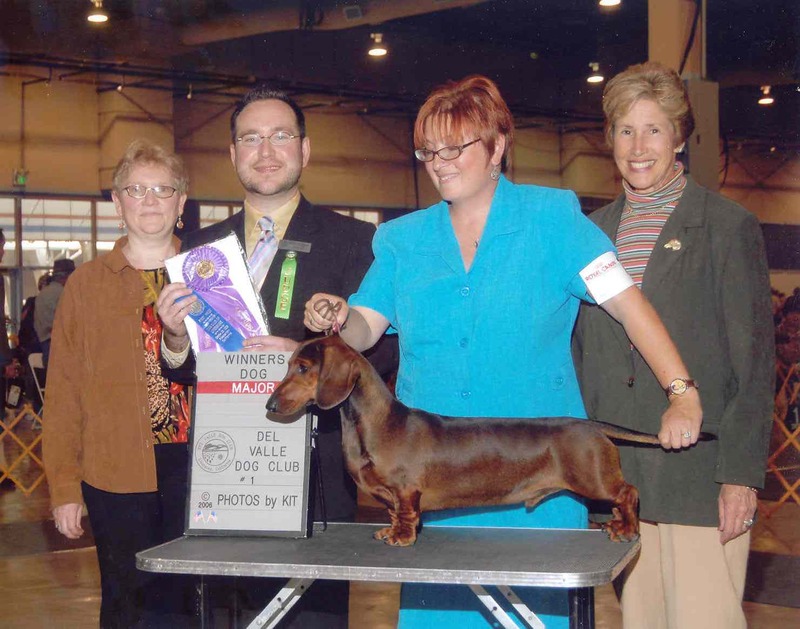 On June 20th, 2007 in Pleasanton, California Judge Ryan Horvath awarded Avery BEST OF VARIETY and then went on to give him BEST IN SPECIALTY SHOW, choosing him over the winning Longhair and the winning wirehair This is an enormous honor and I am very proud. Avery is the son of my Dual Champion Sausage Stables Storybook RN (Stuart) and my Dual Champion Carrdox Storybook Streganona, JE.